The current Biafra restoration quest has further exposed the ignorance and mischief that characterises the black man’s mentality. Time and again, the black race has been referred to as a race lacking in absolute reasoning and comprehension capabilities. A typical black man considers his immediate environment to be a kingdom of divinity, as long as he is able to find something to eat and drink. In a similar vein, he does not consider the plight of others around him neither can he make the slightest sacrifice to better the lots of his neighbours, as long he’s fairly comfortable. It never crosses the mind of a black man to understand that there have been people who dimmed it fit to make ultimate sacrifices for the comfort he is currently enjoying and so he does not think it’s necessary to make similar sacrifices for the sake of posterity. At this stage of the Biafra restoration quest, anyone who openly says that Rivers state or Anioma is not part Biafra is simply a mischievous or an obnoxious and criminally minded fellow. Although I am yet to independently verify the genuineness of an article attributed to Ateke Tom where he was quoted as saying, “Count Rivers out of Biafra” and although we are aware of the fact that the Nigerian mainstream media operators including those of privately owned media outfits, have been paid huge sums of money to use lies, negative propaganda and cover-ups to undermine the current Biafra restoration quest, it is still pertinent to make a few points clear for those who may not know them. First and foremost, a country that pays most attention to and spends the most amounts of money for image laundering, cannot be a viable country. A country that spends huge sums of money to bribe local and international media outfits in order not to expose their atrocities, is far from being a viable country. Right from the on-set, there have been numerous deliberate plots by the government of Nigeria to continue the subjugation of the old Eastern Nigeria. Several policies have been formulated and implemented to undermine the quest for Biafra. One of such ill-conceived plots is the malicious effort to balkanize Biafra into South-East and South-South, Niger Delta and delta Niger. The aim of this plot is to prevent a possible cohesion and understanding among the old Eastern zone (the Biafran people) and therefore to prevent any possibility of the emergence of Biafra. They have used all kinds of divisive tendencies to deceive the gullible ones whom they deceptively called the minority, by making them think that the Igbo-speaking people, who happen to be their closest kith and kin, are domineering. One cannot be said to be a minority in a land that he owns, since he is not a migrant, hence the term is most suitable for those who are not the aboriginals of the land, like the Fulanis who are actually from the Futajelon Mountains. The Fulanis are not Hausas and the Hausas know this. The Fulanis are in fact a minority because they are not aborigines of Nigeria. They employed various nomenclatures such as – Delta-Igbo, South-South, South-East, Niger-Delta, Minority tribe, Midwest-Igbo, Bendel-Igbo, Igbos-across-the-Niger, Ijaw-Nation and all kinds of divisive means, all aimed at infusing confusion among Biafrans, while they continually exploit the region and its resources. I have never heard anyone being referred to as a Sokoto-Yoruba man, Osun-Fulani man, Kaduna-Ishan man or even Ekiti-Arewa man. All these were deliberate plots to ensure that the Biafrans do not see themselves as same kinsmen and therefore do not form a common ground and understanding to restore their common nation – Biafra. But we all know that these are heinous plots and lies by a common enemy which obviously has failed and has continued to fail. On the 27th of May 1967, about 3 days prior to Dim Odumegwu Ojukwu’s declaration of Biafran independence, the federal government of Nigeria under the then military head of State– Yakubu Gowon, hurriedly moved in to create the current River state. This was done as a means to dissolve the possible uniting force that would have been required to form a common front by the old Eastern zone (Biafra) against the federal government’s war of aggression. This state creation therefore, lacking in genuine consideration for the ethnic, territorial and linguistic identities as it concerns the indigenous inhabitants of the various territories, has continued to be a cause for concern in the Nigerian entity. The point that Ateke should understand if he actually made the comment attributed to him, is that he cannot possibly be speaking for all the indigenous identities who happen to be under the malevolent administrative structure of River state, just because he has been offered a pipeline security guard contract by the occupational government of Nigeria. The comfort that Ateke may be enjoying today as a pipeline security contractor, that makes him think all is well, when his kith and kin are struggling to be liberated from the shackles of the northern oligarchy, can turn around tomorrow to become his worst regrets. He should endeavor to learn from history, what happened to those who have threaded the path he is currently threading. It will be unnecessary to mention names here now but if it is confirmed Ateke Tom made the statement credited to him (since he has not denied it yet) then we tell him whose footsteps he is towing and what will happen to him in no distant future. The point to be understood here is that, it is sheer stupidity to opt to secure the resources in your land for the enemies and plunderers who cart them away, because it’s of direct benefit to you, while your people remain in abject poverty, die of hunger and starvation because their lands are polluted and destroyed, with absolutely nothing to show for it. The discussions in a particular gathering among the power brokers in northern Nigeria was aptly captured in an audio file that has been viral on the social media, where they claimed that Jigawa owns the oil in Bayelsa State and that it would only take a war to make them relinquish hold of the state and its resources. This is another evidence to prove to people like Ateke Tom, that they are only serving as security men for the pillagers who steal the resources in their own land. 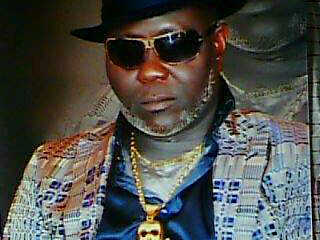 Recall for the most part, that Bayelsa State was created from River state. Very polite and soft spoken service as well as incredible and smart guiding by professional security! It was a good experience connecting to them for my work! Recommended to everyone!